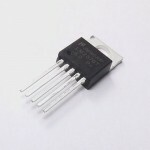 This is a LM2596 based Adjustable DC to DC Buck converter module. 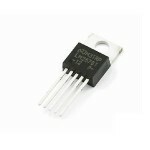 This is a non isolated step down module with adjustable output of 1.5 volt to 35 volt and rated current of 2 Ampere. 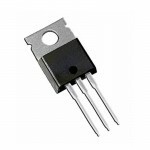 The maximum current can go up-to 3 ampere if heat sink and proper cooling technique is used. 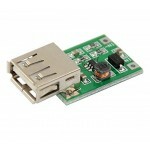 XL4015 5A DC-DC Step Down Adjustable Supply Buck Module with Voltmeter5A 75W XL4015 DC-DC Converter ..
MT3608 2A DC-DC Boost ModuleThe MT3608 DC-DC Boost module is based upon MT3608 high efficient 1.2Mhz..
LM2576-5V Step−Down switching regulatorLM2576 voltage regulator is a monolithic integrated circuit i..
LM338 5-Amp Adjustable RegulatorsThe LM338 series of adjustable 3-terminal positive voltage regulato..
0.9V to 5V Step Up ModuleThis is a good compact DC to DC Step up module. 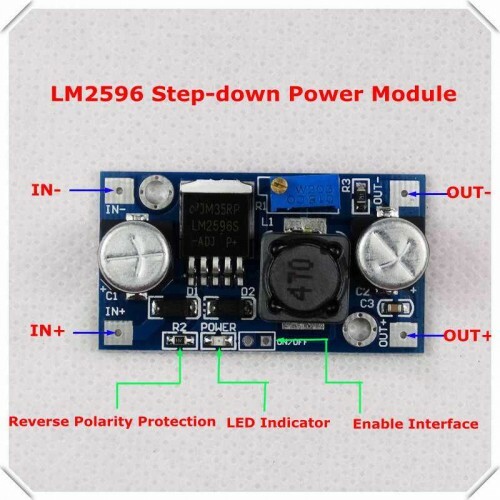 Input can be from 0.9 volt ..
MP1584 Step Down 3 Ampere Adjustable Regulator ModuleThis DC to DC Buck/step-down voltage converter ..
XL6009 LM2596S DC-DC Step Up Down Boost Buck Voltage Power Converter ModuleThis is a non-isolated St..
XL4016 280W CC-CV DC-DC Buck / Step-Down ConverterThis is a high watt DC-DC Buck converter based on ..
XL7015 Step Down ModuleXL7015 DC-DC Converter Step-down Module 5 Volt to 80 Volt Wide Voltage ..
LM2596HVS DC-DC Adjustable Buck Converter LM2596HV High Voltage DC to DC Buck (step down) conve..